In his blog, Wisdom, Grit and Compassion, programme director at Advance HE and author of the book, Leading Learning and Teaching in Higher Education: The Key Guide to designing and delivering courses, Doug Parkin explores what it means to be a 21st century leader in higher education today and how these characteristics apply to leaders in higher education. 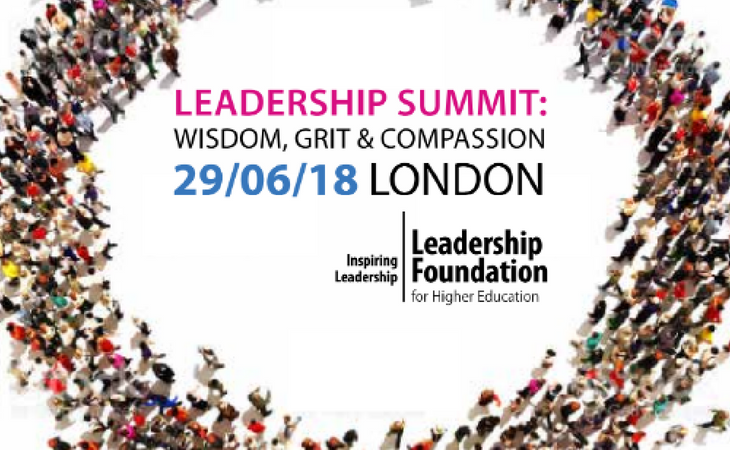 Wisdom, grit and compassion are the stimulus for this year’s Leadership Summit 2018 at the end of June. This one day summit has been designed as an opportunity to strip away some of the complexity and get back to a small number of simple and powerful messages that lie at the heart of great, authentic leadership. It is also an opportunity to engage with some of the most significant developments in leadership and governance that are taking place within and around the Higher Education sector at the current time.